Are you looking for a company that supplies a vast selection of pallet racking in London? Would you like a company that not only provides pallet racking but can also help with the installation too? If the answer is yes, CMC Shelving could be the company for you. We are a well-established company with over 34 years experience in the provision of pallet racking and other reclaimed shelving, nearly new shelving and storage equipment. We offer a wide range of pallet racking and reclaimed shelving readily available in the UK. Cantilever shelving offers an excellent storage solution, especially for long, bulky or oddly-shaped loads. Because there’s no front column, they are faster and easier to load and unload compared to standard pallet racking. They offer a greater handling clearance, the ability to place loads anywhere along the length, and ensure that every load or storage slot is immediately accessible. 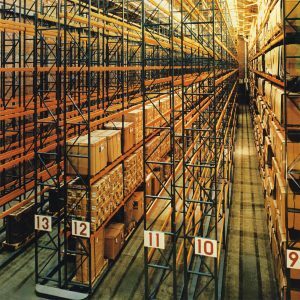 With cantilever racking, you can use your warehouse space more efficiently and reduce costs. For further cost efficiency, at CMC we can offer a range of high quality used cantilever shelving in London, giving you effective storage at a really affordable price. Of course, sometimes you will want to get new cantilever racking to ensure that your products last for as long as they can, and we offer great deals on a range of new cantilever racking. Our team of expert shelving and racking installers can ensure that you always get the best quality cantilever racking in London to suit your needs. 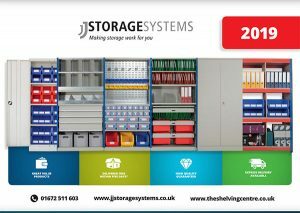 If you are unsure about what shelving or storage method is best for you, feel free to get in touch with us and discuss the options available. At The Shelving Centre we ensure that our customers always get the best deals and design to make the best of your space. If you have any questions about our new or used cantilever shelving in London, longspan shelving, or any of our other storage solutions, please feel free to get in touch with us here at The Shelving Centre. You can call us on 020 8998 9247 or fill in the contact form below and we will get in touch with you.